PRAY FOR THE PEACE OF JERUSALEM. MAY THEY PROSPER WHO LOVE YOU. BRINGING THE MESSAGE OF SALVATION OF MESSIAH YAHSHUA TO THE LOST HOUSE OF ISRAEL AND THE WORLD. BRINGING PEOPLE TO THE KINGDOM OF GOD TO FULFILL THE GREAT COMMISSION! LUZ WORLD EVANGELISM IS A MESSIANIC NON-PROFIT ORGANIZATION. YOUR DONATIONS ARE TAX DEDUCTIBLE. TO MAKE A DONATION, CLICK ON THE DONATE BUTTON. THANK YOU FOR YOUR LOVE GIFTS AND PRAYER SUPPORT TO THIS MINISTRY TO BRING THE MESSAGE OF SALVATION TO THE LOST HOUSE OF ISRAEL AND THE WORLD. THE RELATIONSHIP OF THE NATIONS WITH ISRAEL AND THE JEWISH PEOPLE DETERMINES THE FAITH OF THE NATIONS. "I WILL BLESS THOSE WHO BLESS YOU AND CURSE HIM WHO CURSES YOU AND IN YOU ALL THE FAMILIES OF THE EARTH BE BLESSED". 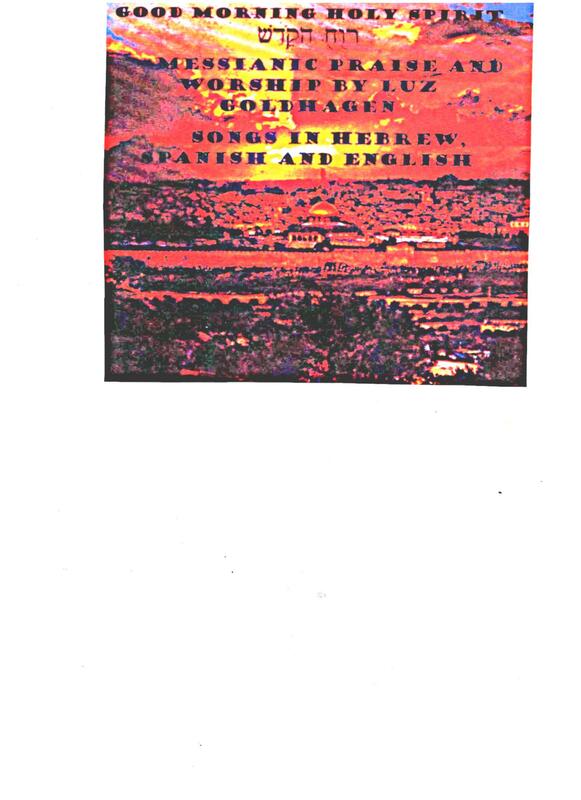 WE HAVE 6 MESSIANIC PRAISE CDS WITH THE MUSIC FOR 77 PSALMS IN HEBREW, SPANISH AND ENGLISH, BEAUTIFULLY ARRANGED WITH THE HARP AND ORCHESTRA TO DANCE LIKE KING DAVID AND FIND THAT PLACE OF INTIMACY WITH GOD. NEW MOVIE "MY DIVINE ENCOUNTER WITH GOD" WAS RELEASED ON JANUARY 11, 2017 WITH DIVINE VISION, DREAMS AND REAL MIRACLES THE GOD OF ISRAEL DID IN PEOPLES LIVES. IF YOU WANT TO SCHEDULE A SHOWING OF THE MOVIE AT YOUR CHURCH OR MINISTRY, CALL OR SEND US AN E-MAIL. 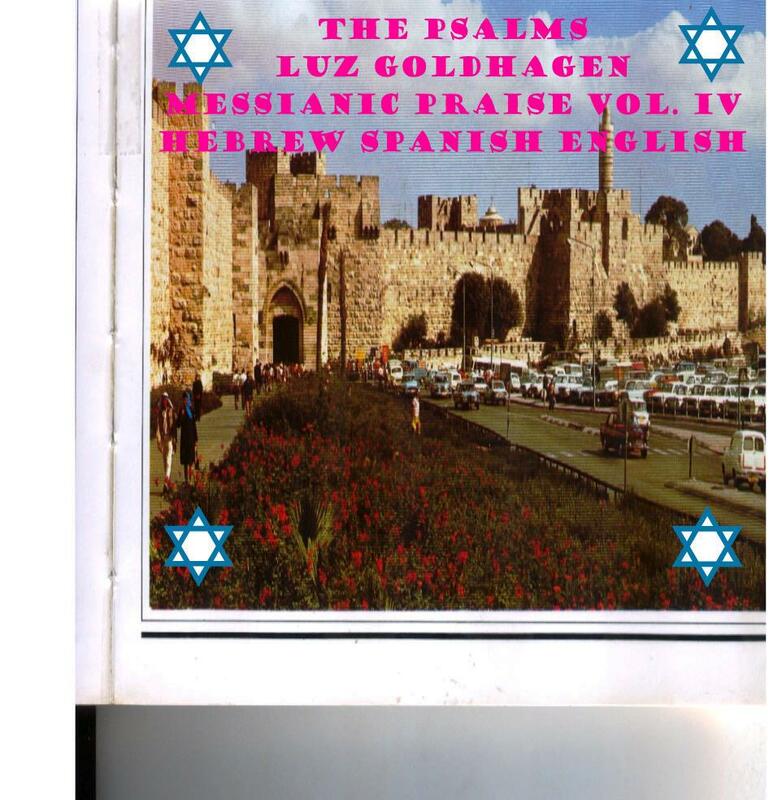 TO ORDER THIS MOVIE OR ANY MESSIANIC PRAISE CD CLICK ON DONATE ABOVE AND SEND $10.00 WHICH INCLUDES SHIPPING WORLDWIDE. THIS MOVIE IS DESIGNED TO INCREASE FAITH TO RECEIVE MIRACLES FROM ALMIGHTY GOD! USA Copyright 2003, 2004, 2005, 2006, 2007, 2008. 2009, 2010, 2018, 2019 All rights reserved.